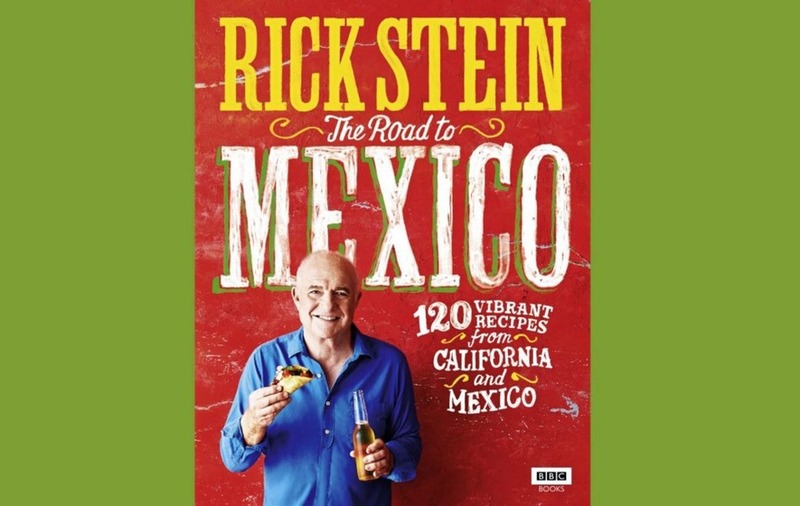 RICK Stein, the celebrated seafood authority, celebrity chef and restaurateur extraordinaire – a man who's travelled the world eating and collecting traditional cooking techniques – claims to be "only a very, very enthusiastic amateur when it comes to Mexican food". Flicking through his latest cookbook, The Road To Mexico, which has a BBC telly series to match, 'amateur' is not the word one would reach for. 'Enthusiastic', however, is pretty spot on. The 70-year-old, usually synonymous with Cornwall's Padstow ('Padstein' to the locals), retraced a journey he took as a hungry 21-year-old in 1968, through Mexico and into California. Although this time, instead of hitchhiking, he travelled in a rather lovely, powder blue convertible Ford Mustang. He remembers how, despite tucking into the odd batch of Indian food in 1960s England, on his original trip, Mexican food "was the first truly foreign and exotic food" he'd ever tasted. "The chilli, the sourness and the freshness of everything I tried there really struck a note with me," Rick recalls. "It's so in your face." The appeal of returning to California was to see how it had moved on and changed, he explains: "I was there in the hippy days, although I wasn't a hippy myself, I hasten to add." 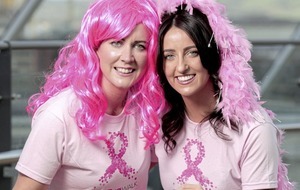 "Why not indeed? It's funny," he says, recalling a trip to the Haight-Ashbury district in San Francisco, "I'd been nervous about smoking acid or taking anything. My wife [Sarah Burns] later said, 'You must have been the only person aged 21 in Haight-Ashbury at that time not to have smoked a joint'. Haha!" Rick's enthusiasm for Mexican food really is boundless, whether its fresh ceviche ("The way they make it in Mexico is so special"), Wahacan cheese ("They make it by pulling the cheese into longer and longer strands, and then roll it up like knitting wool into a ball"), or stuffed and refried tortillas called panuchos – the best of which he ate at a Holiday Inn in Campeche ("Yeah, they were really nice!"). He says we often misconstrue the cuisine and mistake it for something it's not; nachos and fajitas for instance are Tex-Mex, not Mexican. "There's actually a lot of lighter, fragrant dishes; it's not all about loads of meat, cheese, cream and tortillas – it's much more varied than that." Rick also finds the ways Mexicans eat fascinating. "Breakfast is a remarkable meal in Mexico – a bit like it is in Britain, actually." He quotes the late playwright Somerset Maugham, who wrote that "the best way to eat in England is to eat breakfast three times a day". "I love going into a big open courtyard in tropical Mexico, there's birds flying in and out, big tables and Mexican families sitting down to breakfast with lots of lovely cinnamon coffee and plates of huevos in various shapes and forms. "Motulenos is my latest thrill, which is fried eggs with peas, ham, and salsa, and chilaqueles, where they chop yesterday's tortillas into segments and deep fry them, and do them with fried eggs and chilli sauce." Then there's the street food, which Rick calls "among the best in the world", and describes as hinging on family, history and culture. The tacos in particular. "They have a bit of meat, a lot of tomatoes, lettuce, onions and often avocado, then there's chilli, salsa and radish in there – tacos are really balanced. 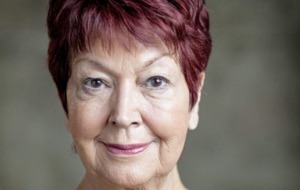 "The only fattening thing about them is you do tend to eat too many because they're so bloody scrumptious. You say, 'I'll have three', and end up having nine. I just find them a very, very agreeable way of eating. "A tortilla is a perfect vehicle for holding street food," he adds. 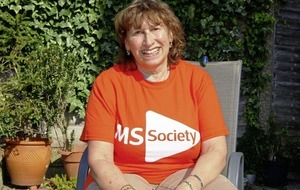 "It's an instant wrapper – you don't need boxes, you just pick one up and eat it. That and a beer or two is perfection for me." Indeed, it's not just about eating: tequila and beer are crucial too, and Stein's enthusiasm does not wane on the alcohol front. "Mexican beer is fabulous," Rick buzzes happily. "Our favourites were Pacifico and Victoria, which you don't see over here, but we were obviously quite happy to drink plenty of Coronas as well – and mezcal. "It has this really wonderful taste, and the same seasoning is often sprinkled on fruit." So, after the blazing colours and heat of Mexico and California, where to next? Rick pauses, then says mildly, "Well, I've got a bit of a hankering just to go back to France." 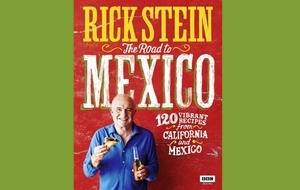 :: The Road To Mexico by Rick Stein, photography by James Murphy, is published by BBC Books, priced £26. 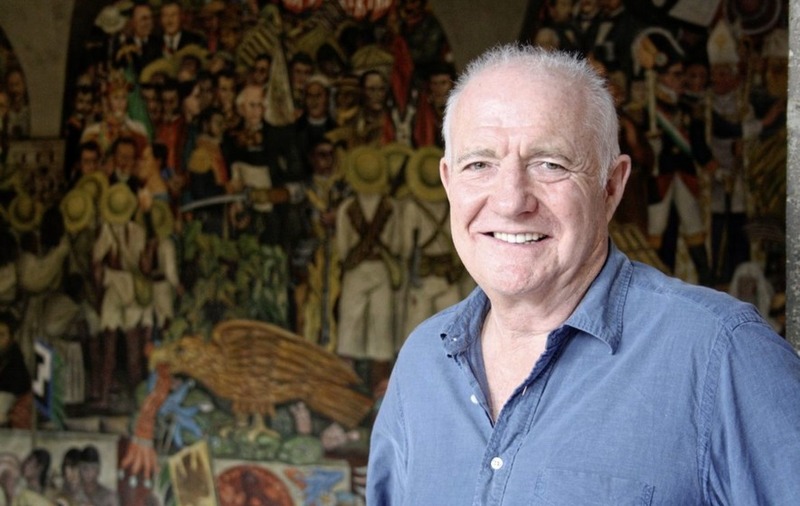 Rick Stein's Road To Mexico continues on BBC2 on Tuesday at 9pm. These tacos hailing from the city of Ensenada on the coast of Mexico, are vibrant and chock-full of flavour: crisp fish in batter that crackles under your teeth, topped with chunks of creamy avocado and a sharp, fiery salsa oozing with lime. 2. Get your toppings – shredded cabbage, diced avocado, pico de gallo salsa, and hot chilli sauce – ready. Mix the ingredients for the crema and set aside. Mix the ingredients for the Pico de gallo salsa, starting with the lime, and also set aside. 4. Cut the fish into fingers about 1cm thick. Heat the oil in a large pan to 190C. Dip a few pieces of fish into the seasoned flour, shake off the excess, then dip them into the batter. Fry for two to two-and-a-half minutes until crisp and golden. Repeat until you've cooked all the fish, draining each batch briefly on kitchen paper to remove excess oil. Sprinkle lightly with salt.